Attractive cover for Sparkle Light Source. Protects electronics and adds mirrored dimension to any sensory room. 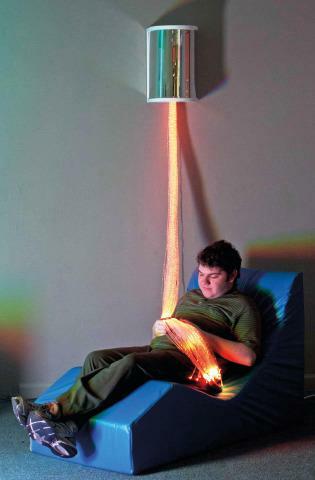 Hang at any height on the wall to let the Fiber Optic Sideglow flow down across laps, shoulders or heads. Does not include Fiber Optic Sideglow-Tails (sold separately). Measures 15"H x 10"W. Mounting hardware not included. Dimensions: H: 15" x W: 10"